For the last week of this month’s Blogging marathon, I was assigned the theme, cooking from fellow Blogging marathoners who ran the A- Z marathon that happened during the month of September. Usually when given lot of options, it should be pretty easy to choose something. It was totally the opposite in this scenario. I had such a hard time choosing from almost 700 plus recipes that was posted during the marathon. 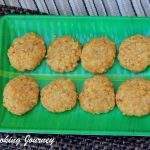 For the first recipe, I chose to make the doodh peda from Sara’s Kitchen. 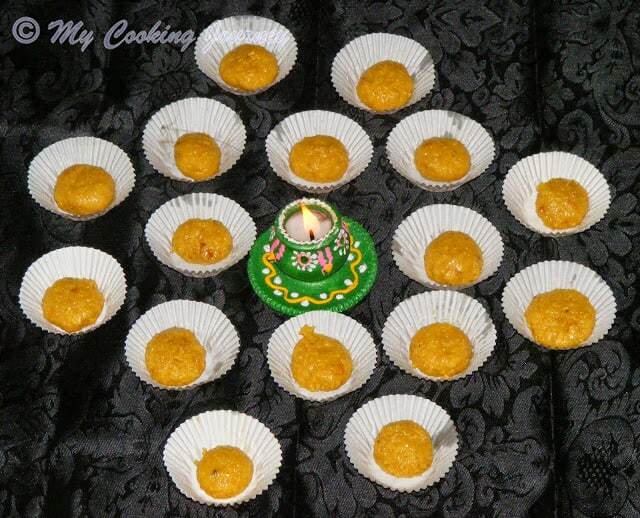 The reason I chose this recipe was, since it is Diwali season, I wanted to make something traditional and sweet. 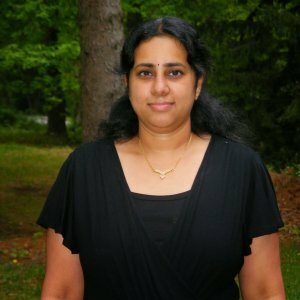 Second reason is I love Tharattipaal, or in this case the peda. 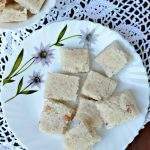 Tharattipaal is something that is made for sure during Diwali, when I was growing up. 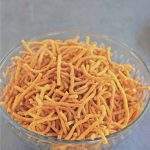 Right after the Oil bath early, on the morning of Diwali after giving me the spicy Diwali lehyam, tharattipaal is the first sweet my mother puts into my mouth. 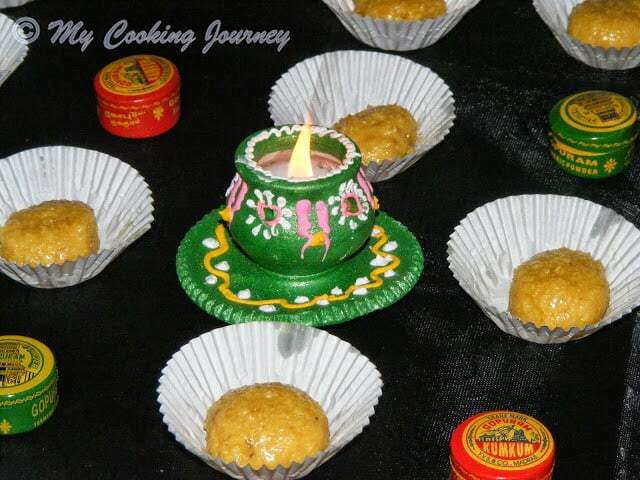 When I saw that Saraswathi had made this peda using the traditional long way, I immediately decided I wanted to make this. Her pattern was made beautifully on the peda and that was one other thing that lured me into making this. 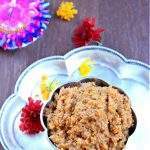 The recipe is very similar to the tharattipaal recipe, except it is allowed to cook slightly longer on the flame to harden it up more. 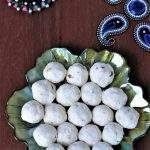 This allows us to make it into peda shape. 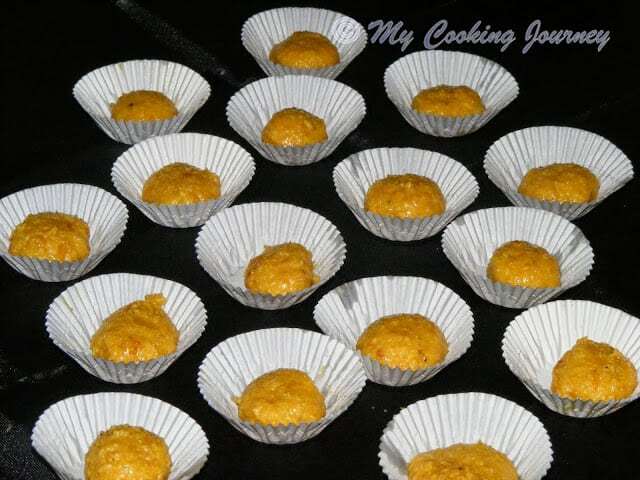 I made the peda’s as a small bite size pieces and arranged them in little muffin/ cup cake liners. This allowed me to easily distribute it to my kids. 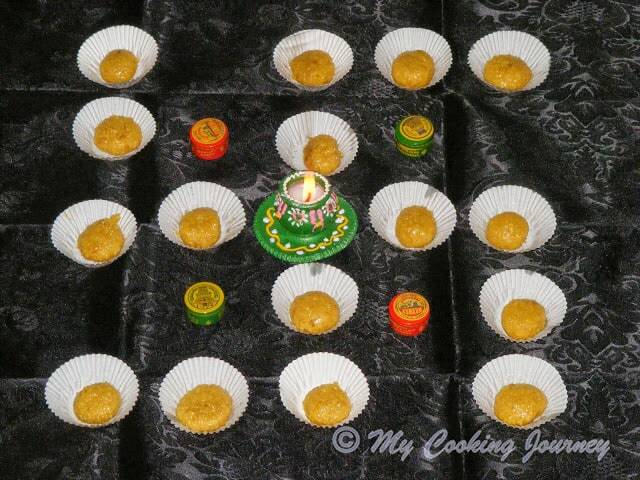 This is also my first recipe for this year’s Diwali festival. 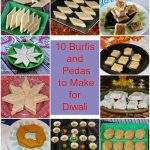 Check out my other Diwali sweets and Savory recipes here! 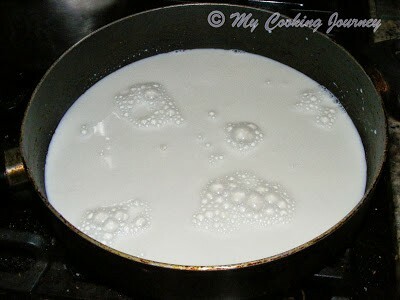 In a heavy wide pan, heat the milk until it boils. Using a wide pan really helps to quicken the cooking process. Once the milk boils, reduce the heat to low-med and continue to cook, stirring frequently. The milk will slowly begin to condense and about 60-80 mins later, it will attain a mud like consistency. At this stage add the sugar and mix well. 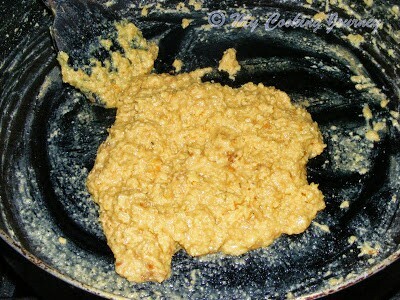 Continue to cook until the mixture thickens. 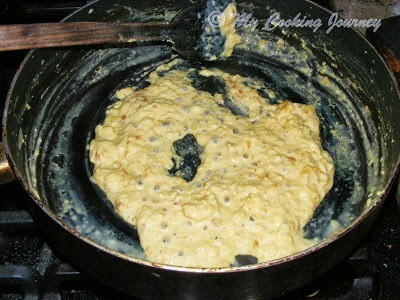 Now add the ghee and cardamom powder and mix well. 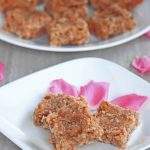 Cook it for 5 more minutes and you will notice that the mixture starts to come together in a halwa consistency. Turn off the flame and allow it cool slightly. Now using greased hand, knead the kova well. Divide it into small balls and flatten it slightly. If needed, decorate using nuts of your choice. I placed them in individual muffin liners. 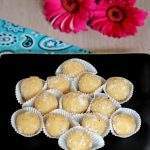 wow so delicious and yummy peda there 🙂 looks fantastic !! 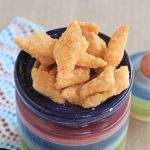 These pedas are very addictive and you drive crazy to make it again.. Thanks for trying dear..
so tempting and so beautiful!! love the arrangement!! 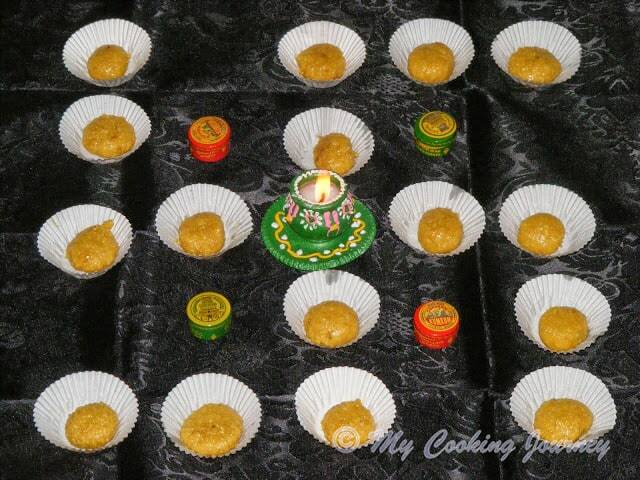 Love the way you have presented this fantastic pedas, they came out simply prefect. Beautifully made. I never have the patience to reduce milk. Delicious is the word…I can virtually enjoy and say..these look so good. Ohhh!!! Adore the outcome as well as the creative use of the muffin liners.